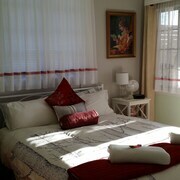 The room and bathroom is clean. 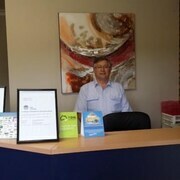 The staff at the front desk is great. 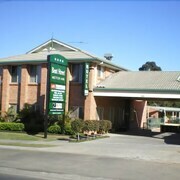 Which hotels are closest to the Grafton airport? 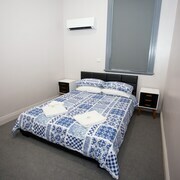 Where to stay near top Grafton attractions? 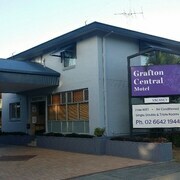 What kind of hotels are in Grafton? 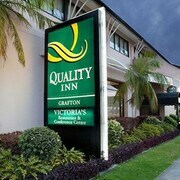 Which hotel chains are in Grafton? Visitors can enjoy all that Grafton has to offer including the riverfront, seafood restaurants, and festivals. 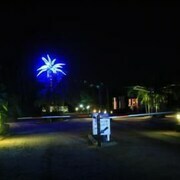 This city also attracts tourists with its secluded setting. 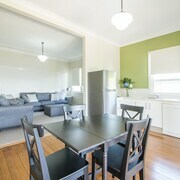 Favorite places to visit in the city include Grafton Racetrack, Grafton Regional Gallery, and Victoria Street. 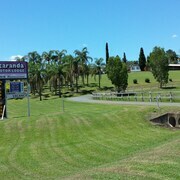 A couple of additional sights to add to your agenda are Grafton Shoppingworld and Susan Island Nature Reserve. 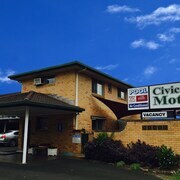 Fitzroy Motor Inn Grafton - With a stay at this 2.5-star motel, guests can enjoy access to an outdoor pool and free parking, along with free WiFi. Grafton sits on the Clarence River in Northern NSW. A city located in rich farming country, it is perhaps best known for its jacaranda trees and the annual Grafton Jacaranda Festival. Grafton is arguably at its prettiest during jacaranda blossom in spring, but there is plenty to admire all year round. Discover the city’s history by walking the Heritage Trail through South Grafton, and visit Grafton Regional Gallery to marvel at the local artwork. During your stay in town, explore the surrounding national parks and go bushwalking, check out the waterfalls at Clarence Gorge, or canoe the Nymboida River rapids. Whether you’re looking for adventures in the city or out in nature, there are all kinds of attractions to discover in Grafton. 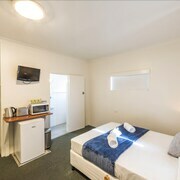 Here at Expedia.com.au, we offer cheap deals on Grafton accommodation to ensure your next holiday remains within your price range. 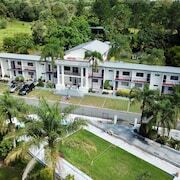 Sort through our selection to find places within easy access of top attractions, such as Susan Island Nature Reserve. 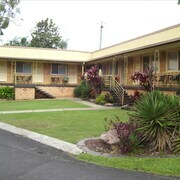 You can even check out Grafton motels located north and south of the river, some of which are just blocks from the water. 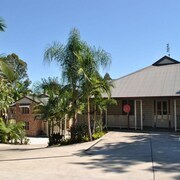 To arrive in Grafton, fly directly to Clarence Valley Regional Airport (GFN), which is just 15 km northwest of the city. 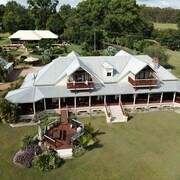 Alternatively, land at the closest major airport, Ballina-Byron Gateway Airport (BNK), located 140 km northeast of Grafton. For the freedom to see the city on your own terms, hire one of our rental cars in advance. 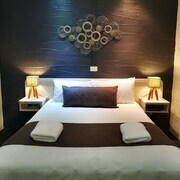 Expedia.com.au features budget hotels in Grafton, so you can focus more on your holiday adventures and less on your finances. Take a look at our selection of cheap deals on accommodation, flights, and car hires to save even more. Make your reservations today—it only takes minutes to finalize all your travel arrangements. 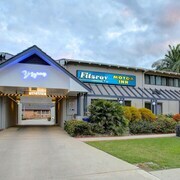 What are the most popular hotels in Grafton? 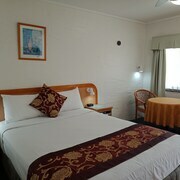 Are there hotels in cities near Grafton? 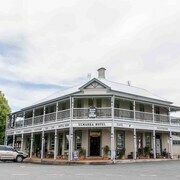 Explore Grafton with Expedia.com.au’s Travel Guides to find the best flights, cars, holiday packages and more!